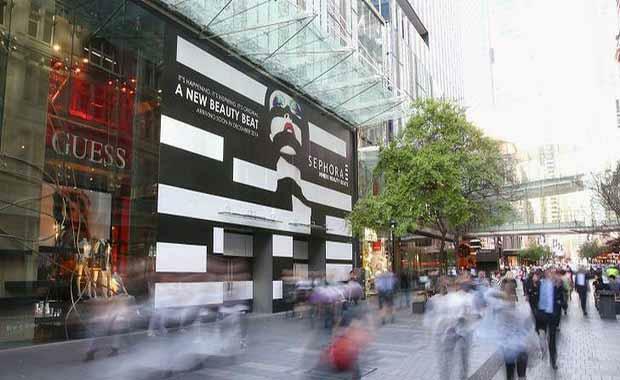 The first Australian store of cosmetic giant Sephora is set to open on December 5 in Sydney’s Pitt Street Mall. The Australian, the opening of the major chain will increase pressure on nearby department stores. Sephora is set to offer its customers the largest range of cosmetic and beauty products under one roof in Australia. Sephora is owned by the world's leading luxury goods group, LVMH Moet Hennessy Louis Vuitton and has 1900 stores in 29 countries. The Pitt Street store is set to be located in the former Esprit site and will be about 800 square metres. Zara, Uniqlo and within the next 18 months H&M and Forever 21 are other international labels located on that strip and Pitt Street has been voted the fifth most expensive retail strip by rent square metre in the world. Fortius said the arrival of the international brands, with the latest being UNIQLO to our Pitt Street, vindicates the maturing of the local retailing scene, where the new brands are giving the area a new vibrancy. Fortius' Project Director Sam Sproats told The Brisbane Times, "It's a significant milestone and all tenants in Mid City should benefit from the international arrivals as it brings customers of all ages back to the CBD, at a time when we believe the retail sector is on an upward trajectory but for the RTRL principle (right tenant right location). "In the latest CBRE for the third quarter of 2014, it says retailer demand in Asia Pacific remained generally subdued but recorded strong leasing activity in several markets such as Japan, Australia and emerging Southeast Asia. The report showed that over the three months to the end of September, Asia Pacific recorded its fastest rate of growth in six years, with CBRE's Asia Pacific Retail Rental Index increasing two per cent quarter-on-quarter, slightly up on the 1.8 per cent quarter-on-quarter in the second quarter. This was mainly driven by strong activity in Tokyo, Melbourne and Sydney, which all saw strong demand for prime space. Other noteworthy performers include Jakarta, up 7.1 per cent quarter-on-quarter, and Manila, up four per cent quarter-on-quarter.